News reporting from Israel at this time of year often adopts a theme that Israelis, at least those Israelis like us who are tuned into the nuances of foreign reporting - find offensive. 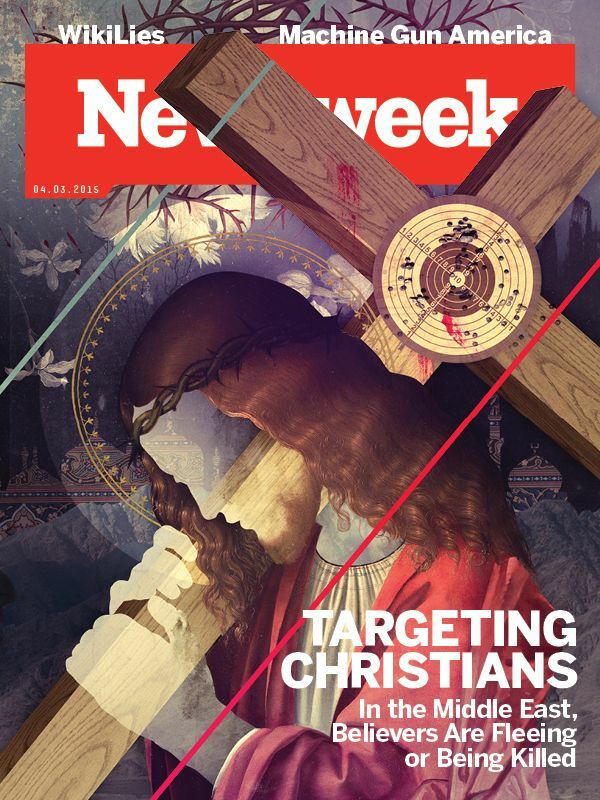 We think it reflects an infuriating, tone-deaf approach to centuries of fraught Christian/Jewish history. Here where we live, today is a bright, sunny, chilly winter Friday - a delight to be outdoors, but cold when the sun sets. Classic Jerusalem. That's a disturbingly inaccurate view. The reality is there's been a vicious campaign underway here for the past three months. It's being explicitly urged on by the duplicitous "peace-seeking" Mahmoud Abbas regime in Ramallah and it's energized by calls for more stabbings, rammings and shootings by the Christianity-hating Islamists of Hamas. The result is hundreds of violent attacks on Israelis - and not only on Israeli security personnel - executed by Palestinian men, women and especially young boys and girls. That's not mentioned anywhere in AP's syndicated news report. Inadvertently perhaps, the AP piece helps alert readers see that Bethlehem's problems are something other than "months of Israeli-Palestinian violence". As the festivities got underway, Miral Siriani, a 35-year-old publicist from Jerusalem, said she was relieved to get a break from three months of tension that has included numerous attacks in her city. “I feel safe in Bethlehem,” she said. There's a reason the Jerusalem-based Arab lady feels safe in Bethlehem, and less so in the city she shares with us and our children. The Israeli military and police are arrayed right across our country right now, especially in Jerusalem, in order - not to suppress peaceful seasonal celebrations, not to interfere with ordinary people's lives, not to threaten random violence - to blunt the wave of terror attacks by Palestinian Arab zealots pumped up by the lethal rhetoric of their elites. To put it more plainly, Bethlehem, an Arab town populated by Arabs and with no Jewish residents, is safe from "Israeli-Palestinian violence". Jerusalem, an Israeli city with a mixed Arab/Israeli population, is not. Underlining why it is not are the data we presented here a few days ago: "14-Dec-15: What do the Palestinian Arabs think?" AP could have said, but never does, that the security barrier - walls, fences, crossing points - has been dramatically effective in slowing down the rate of human bomb attacks. It has stopped the shootings by Tanzim gunmen who occupied the northern edge of Bethlehem in 2000-2002 and fired round the clock into southern Jerusalem and especially into the Gilo neighbourhood, bringing death and misery into lives on both sides. Still, we have gotten used to how agenda-driven reporters and their editors keep referring to Israel's Apartheid Wall. The reality is it has saved untold lives - Israeli, Arab, foreign. No one has yet been killed or injured by the security barrier, or by the road tunnel that runs beneath Bethlehem, protecting travelers from the sniper fire and fire-bombings that plagued the road it replaces. 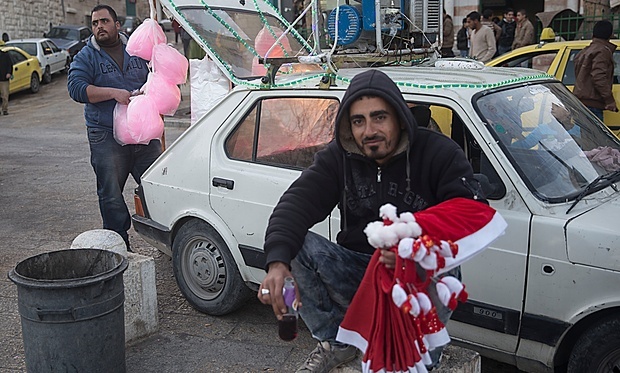 The unmistakable trend in Bethlehem's population tells its own story. Wikipedia's data quotes an American visitor describing the town as having a population of 3,000 to 4,000 in 1867; about 100 were Protestants, an insignificant 300 or so were Muslims and "the remainder belonging to the Latin and Greek Churches with a few Armenians". In 1948, when the Jordanian army began its 19-year occupation of the town, 85% of its inhabitants were Christian, mostly Greek Orthodox and Roman Catholic. Muslims were 13%. When Israel defeated the Jordanians in 1967 and conducted a census, it found 14,439 inhabitants, of whom Muslims were 54%. Under Israeli stewardship, Bethlehem grew to 22,000 by 1997. The most recent census in Bethlehem was conducted by the PA in 2006: it showed Bethlehem with a population of 25,000 to 29,000, with Muslims more than two-thirds of the total. Nonetheless, let's take a moment to wish peace to all men, women and children.